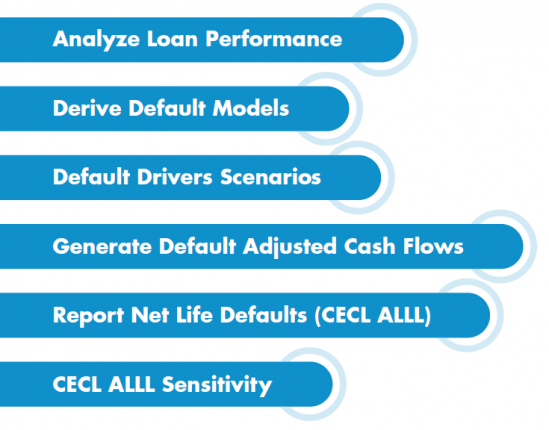 Current Expected Credit Losses (CECL), the Financial Accounting Standards Board’s (FASB) new accounting standard for the recognition and measurement of credit losses for loans and debt securities, requires banks to look at expected losses over the life of loans. Be sure you have the proper tools to specify time zero allowance, be aware of forward CECL and the sensitivity of CECL to changing assumptions. Our powerful analytics incorporate everything you needed to help you comply with CECL.